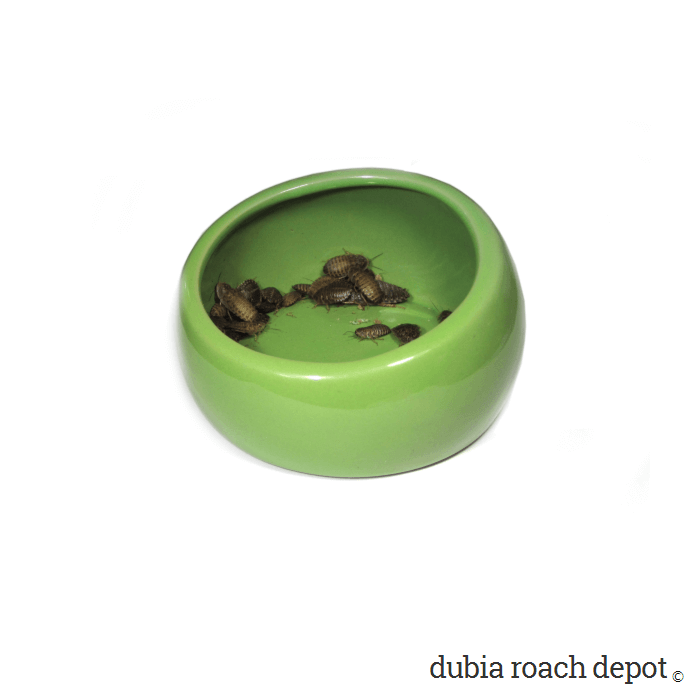 A small, ergonomic feeding dish that allows easy access for your animals while retaining all but the largest Dubia roaches. 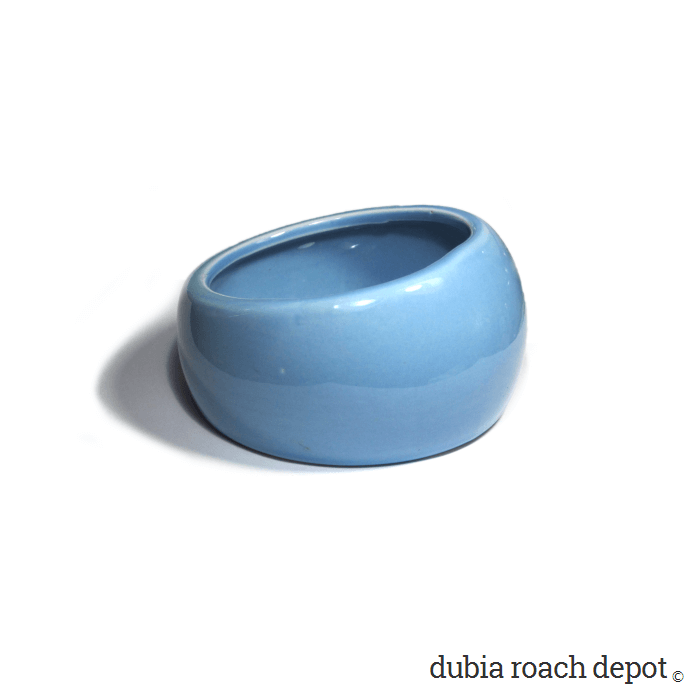 The Ergonomic Feeding Dish is a compact, attractive, smartly designed glazed clay bowl that holds Dubia roaches at feeding time. 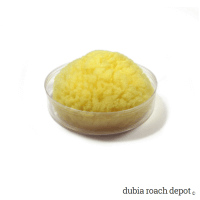 It can also be used for other small feeders like mealworms, superworms, and more. At 3.75 inches, the dish itself is about the diameter of a softball. However, its rim height varies. It starts out at 1.25 inches in the front, which allows easier access to food, and it increases as you move toward the rear. Maximum rim height is about 2 inches. 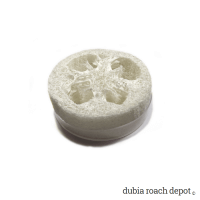 The Dish has a glazed surface inside and out, making the walls too slippery for Dubia feeders to climb out. This feature works great. The roaches generally can’t escape unless their body is longer than the height of the wall, and sometimes not even then. 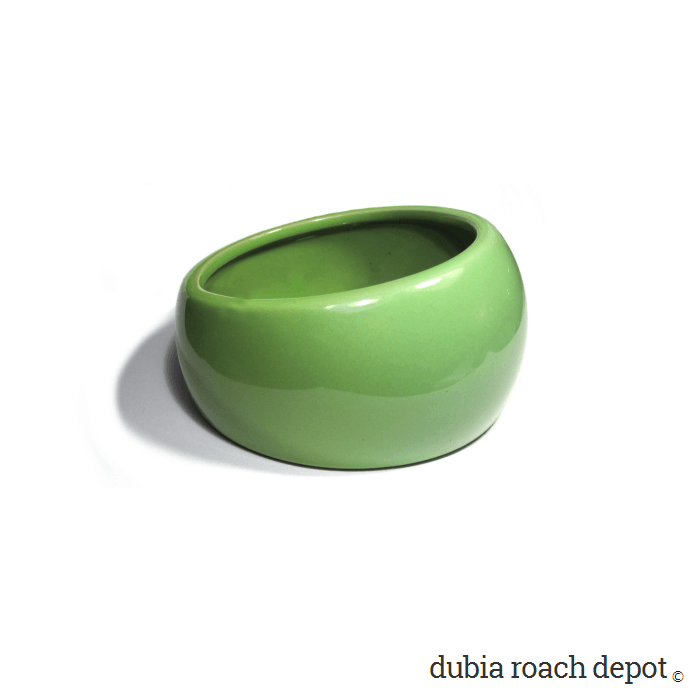 This is because there is an eighth-inch lip around the inside rim that helps keep roaches in. First is how many roaches you put in the Dish. They climb on each other’s backs, so more roaches in the bowl means more opportunity to get a boost and climb out. Second is time. 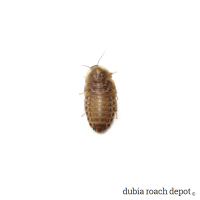 Dubia roaches prefer dark places, so they tend to head for the shadows instead of attempting escape when you place the Dish in a brightly lit reptile enclosure. They are more likely to explore their surroundings at night when it’s dark. Therefore, they’re more likely to escape when left in the Dish overnight. 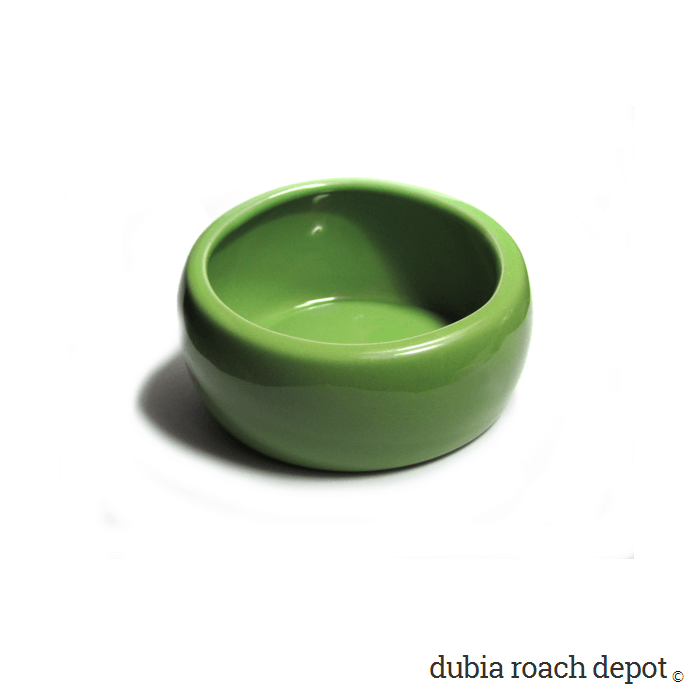 The Ergonomic Dubia Roach Feeding Dish comes in blue and green.